Making medicine with mushrooms is truly a thing of magic and beauty. In this fun and informative workshop, the medicine of mushrooms will be discussed, including their chemical makeup and how to best extract these compounds. 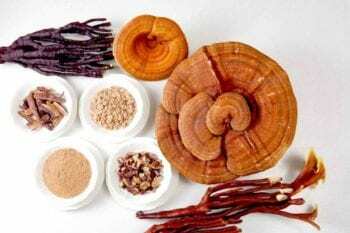 Through understanding the most appropriate solvents for extracting a variety of constituents, creativity is inevitable and a vast array of medicinal mushroom preparations can be created. From teas and tinctures to syrups and lotions, this hands on workshop will provide a better understanding of mushroom medicine through working with the mushrooms – chopping, blending, boiling, and best of all – eating! Students can expect to gain skills in this workshop to set a baseline level of knowledge for preparing mushroom medicines as to propel creativity when they are exploring fungi preparations at home. Make and Take! Students will take home a mushroom skin cream, concentrated mushroom syrup, the beginnings of a triple extraction, and a myco-electuary. *Anna Sitkoff is currently a student of Naturopathic Medicine at Bastyr University. Prior to beginning these studies, she was trained in the field of nutritions sciences. Above all, she is a student of nature and has an undying passion for botanical and mycological medicine. Anna is an advocate of using the medicinal and edible plants and mushroom that grow were we grow. 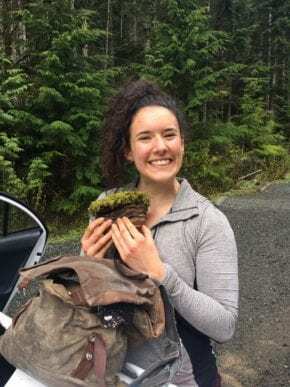 She continues to study the local medicinal mushrooms of the Pacific Northwest intimately, and it is her desire to teach others of their strong medicine, as well and the most beneficial ways to extract and ingest this medicine. Anna is an avid researcher and she is passionately interested in merging ethnomycological uses, current research, and her own experiences in her teaching.